Are you excited for this year’s rAge expo? Are you planning on coming through to Johannesburg for the country’s premier video game and technology expo? If you’ve already booked travel and accommodation based on the dates already publicised? If so, you may wish to change them; the show’s been moved up a week. Instead of the weekend on 3-5 October, you can now pencil in the following weekend. Yes, rAge will now take place on the weekend of 10 October, which will change things a bit. For one, it means that it will now take place over the Gauteng school holidays. And that’s a good thing. It means instead of an influx of young folk on the weekends only, we may see far more of them on the Friday instead. If it all goes to plan, it could mean a less congested, better balanced expo this year – and as any previous attendee would attest, a little more breathing room would be most welcome. If you’ve never attended, you really should. 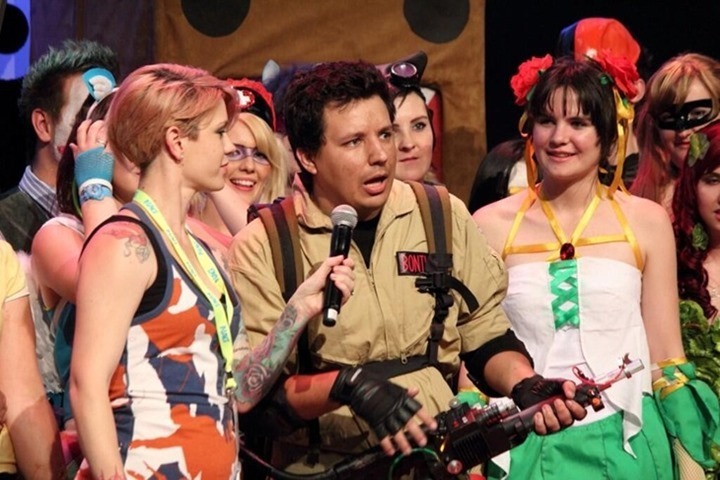 Not only do you get to see and play games well before release, you also get to pick up great specials on games and hardware, and you’ll get to see Darryn – along with many of south Africa’s cosplay enthusiasts – dressed up as all manner of silly things.Last year, he dressed up as a fat Ghostbuster! You may even get to hang out with some cool people from your favourite games publication or website. Not us though, we’re a bunch of anti-social bastards.